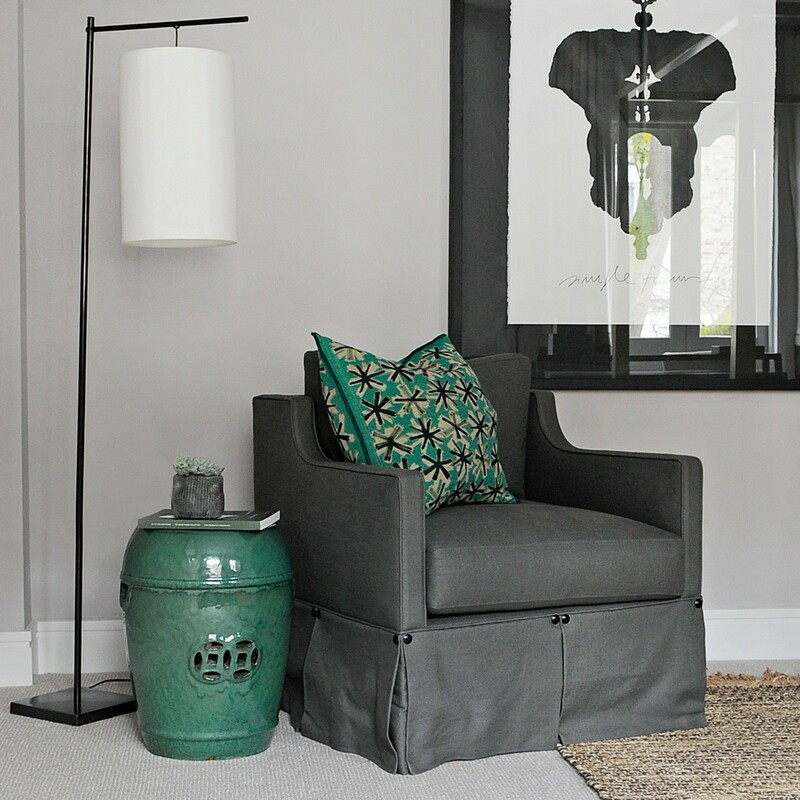 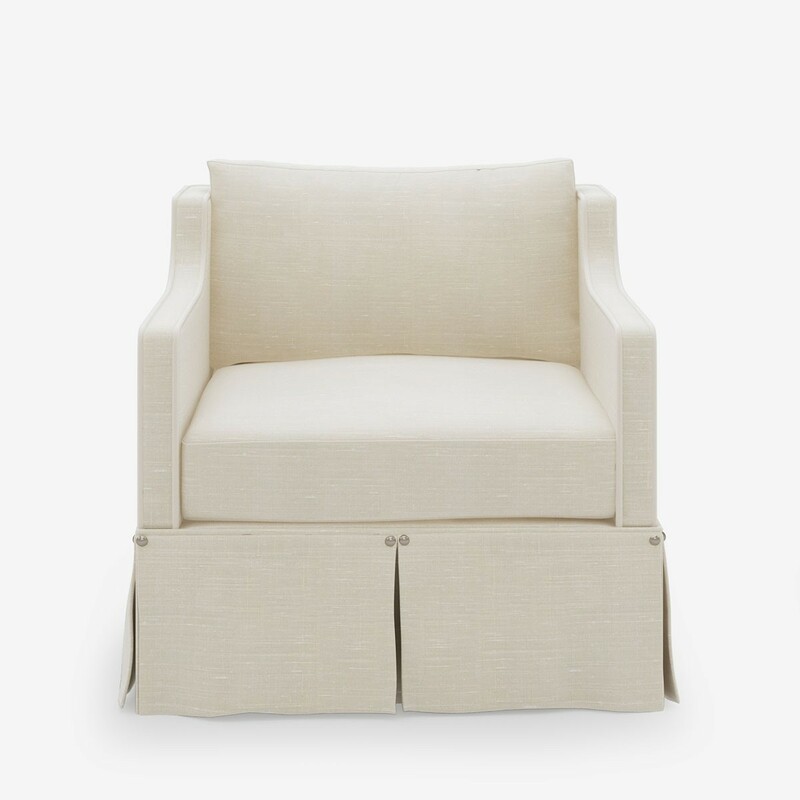 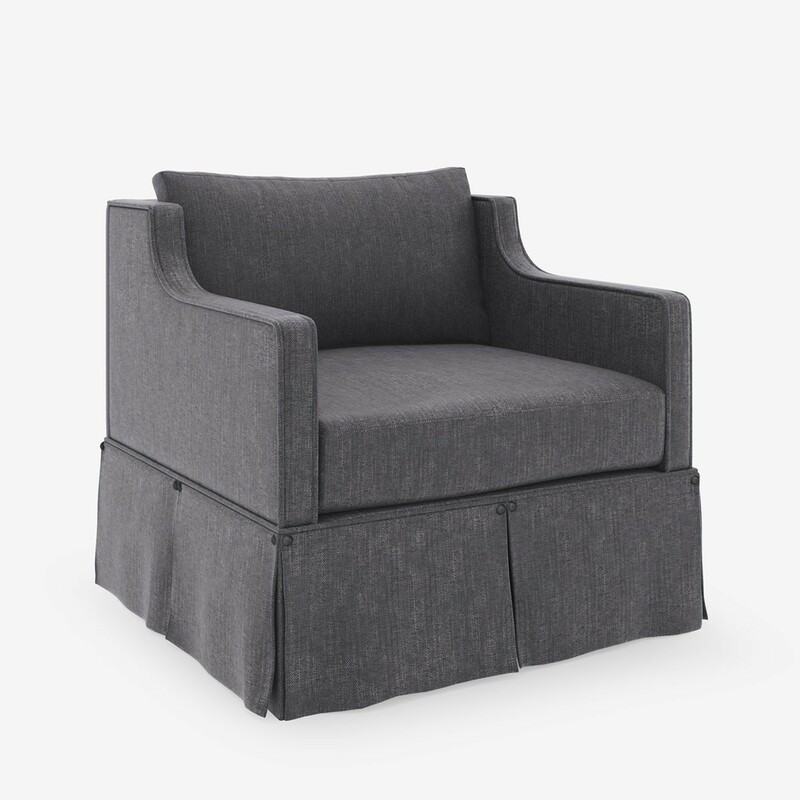 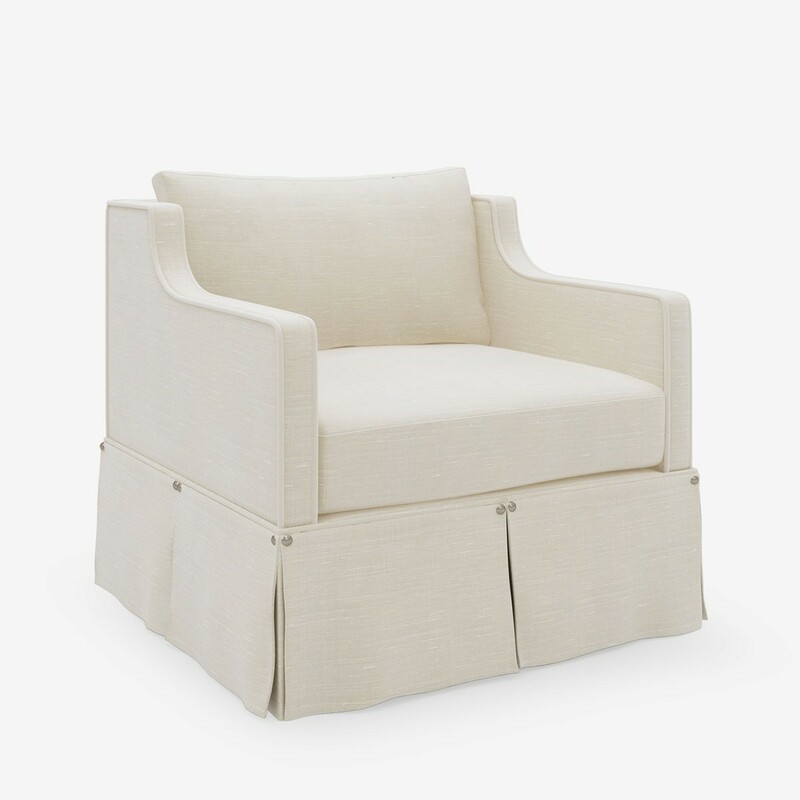 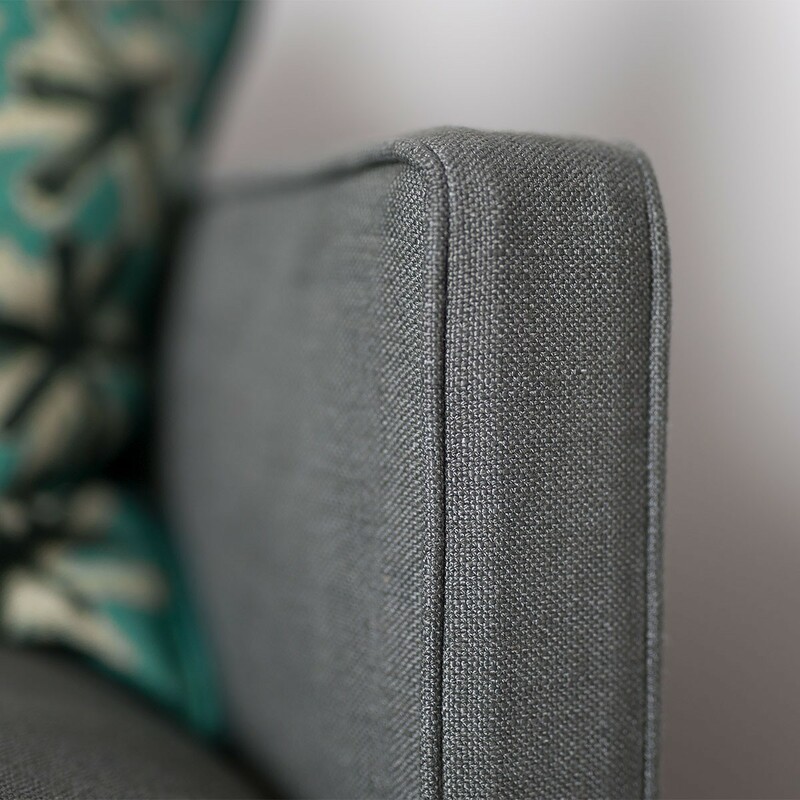 French styling with a modern twist, this strong accent chair combines comfort and elegance. 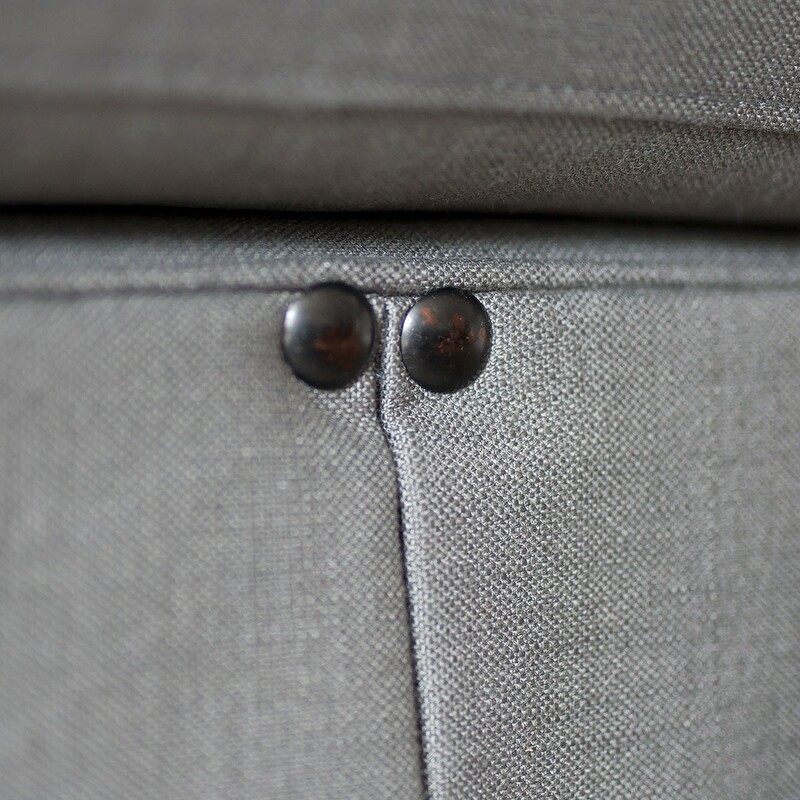 We love the overscale studs which add the perfect finishing touch to the kick pleat skirt. 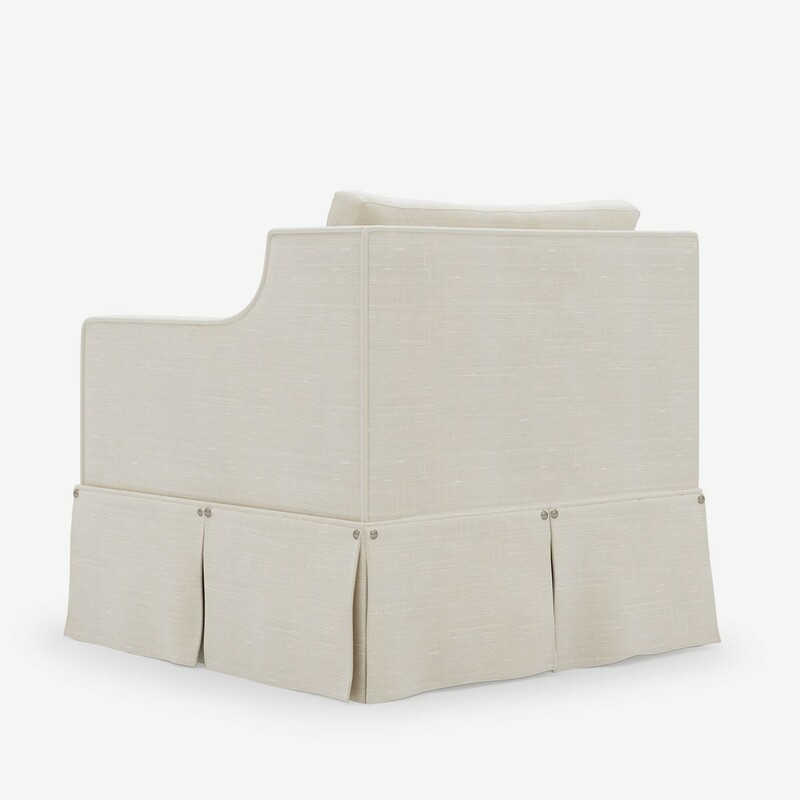 Use as a feature in your bedroom or as a pair in your living space.